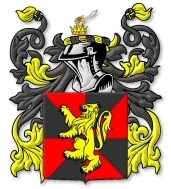 Matteson.us: Matteson Coat of Arms? I am frequently asked about a Matteson Coat of Arms and why when seen they can differ so greatly in appearance. I hope this helps to clear that up. To begin there is no such thing as a "Family Crest" or a "Family Coat of Arms". Coats of arms were not awarded to a family or to a surname, but to individuals. This is why there is often more than one coat of arms associated with a given surname. And this is why there is no coat of arms or family crest for the family name "Matteson", only a coat of arms that was granted to someone with that name a long time ago. In England and Scotland an individual, rather than a family, had a coat of arms. Coats of arms are legal property transmitted from father to son, wives and daughters could also bear arms modified to indicate their relation to the current holder of the arms. Undifferenced arms are used only by one person at any given time. Other descendants of the original bearer could bear the ancestral arms only with some difference, usually a color change or the addition of a distinguishing charge. In England and Scotland the use of arms is a matter of civil law, regulated in England by the College of Arms. In Scotland the Lord Lyon King of Arms has criminal jurisdiction to enforce the laws of arms. The bearing of private coats of arms is not regulated in most other countries, including the United States. In the United States heraldry, except for the official seals, badges, insignia, decorations and medals of the country and the states, is unprotected unless it has been registered as a trade mark or has being copyrighted under U. S. law. You may adopt and display anything you like, including the coat of arms of someone who once bore your surname whether you are directly related to him or not as long as they do not infringe on insignia covered by trademark and copyright laws. Although by doing so you may be guilty of violating the laws of a foreign country and subject to its penalties if those arms are acknowledged to be belonging to the descendants of any of their nationals by the heraldic offices of that country. That being said, in 1941 The Matteson Historical Congress of America Inc. instructed then president Burt R. Matteson to conduct a search for a possible Matteson coat of arms. He engaged two heraldists to do the job. Both arrived at the same conclusion and he reported those findings to the Congress in 1946. The Congress accepted the report and officially adopted that coat of arms. Reitstap, a foremost authority on continental arms, reported that the Matthisen coat of arms was the one that eventually became the Matteson coat of arms, allowing for the varied spelling adopted by members of the family. Matthisen is a Danish-Norwegian patronymic surname meaning "son of Mathies" (Matthew). Several spelling variants are used, including Matthiesen, Matthiessen, Mathisen, Mathiesen. A coat of arms is not defined by a picture, but by the wording of its blazon which is a formal description of a coat of arms. This enables a person to rerconstruct a coat of arms from it's description alone and explains why you will often find many different depictions of a coat of arms which are all comprised of the same elements. The blazon for this coat of arms is described as a blue shield on which are charged two elephants' trunks of silver. These trunks have the trumpets toward each other, or accosted. The crest, above the helmet, is of two elephants' trunks as on the shield. It should be noted that Danish heraldry is a branch of the German-Nordic heraldic tradition. One of the characteristics of German-Nordic heraldry is the treatment of the crest. Often, the same design is repeated in the shield and the crest. Of course there are many spelling variations of the name "Matteson" as well as other similar surnames of Swedish, Danish, Scottish and English descent so there wil surely be other coats of arms as well. There can be multiple coats of arms for a surname from the same country or from different countries and many unrelated families can share the same surname. The most commonly seen and often described as "the" Matteson coat of arms is the Scottish coat of arms which is described as a shield divided gyronny of eight, black and red with a gold lion rampant over all. The crest is a hand holding a scimitar, emerging from an eastern crown. There is also the English coat of arms described as a red shield with three gold chevronels. The crest is a red escallop gules between two blue wings, a gold cross. And lets not forget the English Madison, Maddison, or Maddeson Coat of Arms which is described as a silver shield with two black battle axes in saltire. The crest consisting of a cubit arm in armour holding a black battle axe. There are very likely more, and possibly even more variants on those listed above. Allowing for spelling variations, all of these coats of arms could have belonged to a "Matteson" at sometime in the past. 1. Scottish and northern English: variant spelling of Mattison. 2. Respelling of Swedish Mattesson, a patronymic from the personal name Mattes or Mattis, Swedish forms of Matthew. While Americans are usually fascinated by the beauty of heraldry, they are rarely familiar with its meaning and traditions and, therefore, often misunderstand and even abuse this rich cultural heritage. They seldom understand that a coat of arms is usually granted, certified, registered or otherwise recognized as belonging to one individual alone, and that only his direct descendants with proven lineage can be recognized as eligible to inherit the arms. Exceptions to this rule are rare. It is highly inappropriate for one to locate the arms of another person sharing the same surname, and to simply adopt and use these arms as one's own. In order to properly claim the right to existing arms, one should approach an office of arms offering genealogical proof of proper kinship, and to receive confirmation of the right to bear the arms and thus to be recognized by the heraldic community as legitimately bearing the arms. Ancestry.com: Pssst! Want to Buy Your Family’s Coat of Arms? Most Americans seem ignorant of one very basic fact: in Western Europe and in the British Isles, there is no such thing as a "family coat of arms." A coat of arms is issued to one person, not to a family. After that person is deceased, his eldest heir may apply for the same coat of arms. Again, when he dies, his heir may apply. The rules for determining who is eligible to display a coat of arms are very similar to the rules for becoming King or Queen of England. However, even the proper heir cannot display the coat of arms until he or she has received authorization (been confirmed) by the heralds. At any one time, only one person may rightfully display a coat of arms.